HURRY over and grab this Pyrex Prepware 3-Piece Mixing Bowl Set, Clear for $11.99 (Retail $76.82)! Pefect housewarming gift or office gift! Right now you can get this Mega Bloks Play 'n Go Table for ONLY $24.97 (Retail $49.99)! This weekend only select patterns at Vera Bradley are 70% off! For instance you can get this Clare bag in Portobello Road for just $18 (Retail $60). Kohl’s.com is offering $10 off a $25 purchase when you use the promo code VETSDAY10 at checkout (expires 11/11). Plus, Kohl’s cardholders can save an additional 20% off sitewide with promo code FALL20 at checkout (expires 11/11). If you’re not a cardholder, save an extra 15% off your purchase with code LEAVESFALL or THANKS746 at checkout. 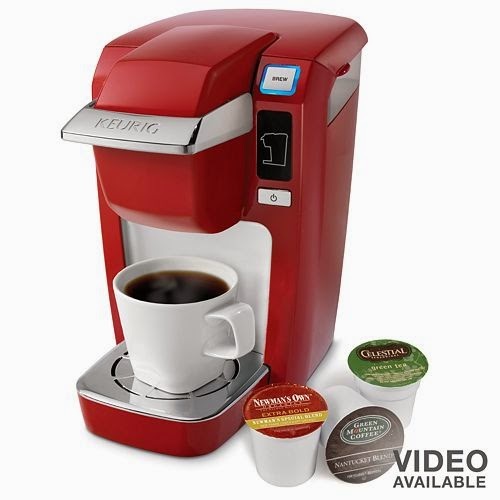 After the coupon codes: VETSDAY10 and LEAVESFALL at checkout this Keurig K10 B31 MINI Plus Personal Coffee Brewer is just $59.49 Shipped (Retail $124.99)! Hurry over to check out all of the deals before the best ones sell out online! Right now, Family Christian Stores has the Fisher-Price Little People Nativity Set for only $29.99 (Retail $42.99)! - Love these for under our kids tree. If you want to do a little more shopping while you're there you can get 40% off one regularly priced item with coupon code VETERAN40 at checkout. Shipping is Free with orders $50 or more, so be sure to browse the other great deals they have. Hurry over and check out the Walmart Early Bird Sale with special discounts daily on different deals. For instance this Air Storm Firetek Bow is on sale for $19 Shipped (Retail $29.97). Check out all of the Early Bird Sales HERE. I am digging this Brinkmann Shish Kabob Set for $6.97 (Retail $36.16). Keep in mind prices can change at moment. New Ibotta Rebates - Coca-Cola. Cheez-It + More! Here are the new rebates you'll find in the Ibotta App today. Many are valid at select retailers so check your favorite store to be sure that the rebate you want is available there. If you are not using Ibotta yet, it is a free app available for your compatible device that provides you with cash back when you purchase featured products and upload your receipt! You can learn more and download the app here. **BONUS: Redeem both of the above Coca-Cola and Cheez-It rebates at Target and earn an extra $.50. **BONUS: Earn an extra $1.00 when you redeem the MilkSplash™ rebate 2 times on 2 separate shopping trips. Through November 30th you can get a FREE DVD rental or $1.20 off Blu Ray or Game Rentals! Just text APPNOW to 727272 for your unique code. This can be on the RedBox app or Online. This may not work at the kiosk. 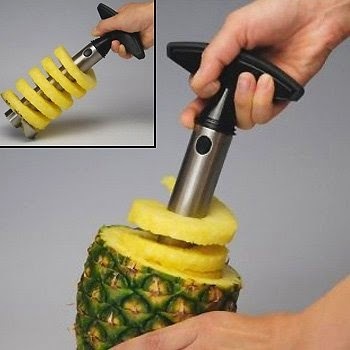 Right now you can get this Stainless Steel Pineapple Easy Slicer and De-Corer for ONLY $3.72 (Retail $19.99) plus FREE Shipping. I finally just grabbed mine as I have a fresh pineapple I grabbed for $0.99. Yes - it's a pain to core. Price can change at any moment!!! Head over and grab this Men's New Balance Cross-Training Shoe for $49.99 (Retail $114.99) - a 57% savings. The classically styled 856 presents top-notch motion control courtesy of NB's celebrated ROLLBAR® and pairs it up with a versatile, durable leather upper and an all-day comfort insole to make working out even more fun. If you overpronate, have a low arch or flat feet, this cross-trainer is your ticket to a healthier gait and wonderful workouts. Today take Up To 25% Off Select Wire Shelving at HomeDepot.com! I love the 5-Shelf 36 in. W x 72 in. H x 14 in. D Steel Shelving Unit in Chrome for $59.97 (Retail $79.97) - perfect stock up shelf or organizing shelf. Here's a fun deal for the family! 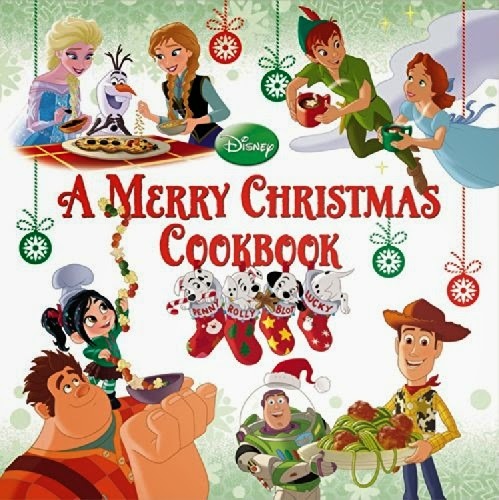 Get the A Merry Christmas Cookbook Hardcover for $8.23. The cookbook is certainly written in a child friendly way. It contains more than 25 recipes for homemade holiday treats. Many of the recipes can be prepared as gifts and there are punch-out tags in the back to include with the homemade gift. The recipes included are for breakfast, lunch , dinner, sides and drinks, and desserts. There are photographs of each prepared recipe. All the ingredients can easily be located in your grocery store. The directions are written well and are easy to follow. Here’s a roundup of today’s Toy Lightning Deals. Check out all of today’s Lightning Deals HERE - you’ll also find apparel and more! Right now Cardstore is offering personalized flat cards and invites for only $0.99, shipped directly to the recipient on the day YOU choose! Just use promo code DDCCN4117 for this price! Just find the card you love, customize with or without photo and use custom text. When checking out, you'll be able to create an address book and pick where your cards will be mailed AND what date you would like them shipped. This is great for birthday's and the holidays when we get overly busy.. It's that easy! Your Cardstore address book will be easily accessible for future holidays, such as Valentine's Day, Easter, Mother's Day and more! Walgreens always has lots of great deals happening during Black Friday! Check out these freebies valid November 27th-29th with coupons available right now! Be sure to print the coupons before they disappear. Final Price: FREE + a $1.01 money maker! There will be a SmartSource and Redplum insert in the Sunday paper this weekend! Today ONLY - Get this Gemmy Holiday Lawnstravaganza for $14.99 - $77.99! Head over and browse around the full selection before they disappear. 11/9 ONLY.